iPad 2 coming to India Soon? 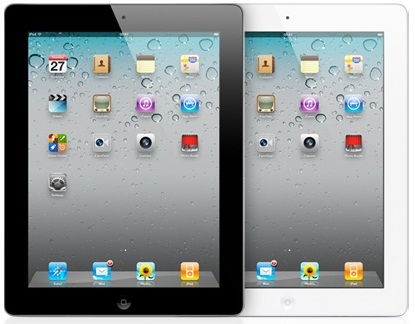 Apple COO, Tim Cook had announced last week that the iPad 2 will reach 13 more countries in the coming week. We believe that India is on the list of new countries getting the latest tablet breaking the market records. OnlyGizmos reported that it will be available at stores including official Apple iStores, Vijay Sales, Croma and Reliance iStores by next week at Rs 27,900/- for the 16GB Wi-Fi version and Rs 44,900/- for the 64GB 3G+Wi-Fi version. According to Pluggd, they had asked Apple retailers on the expected iPad2 availability and the iStore personnel informed them that iPad2 is coming to India in the month of April (or max, May) and hence, the inventory crunch for iPad (first generation). As per the retailer, Apple has now stopped sending iPad shipments and the first generation iPad is permanently discontinued. While CIOL said that HomeShop18 has recently announced that they will bring the Apple iPad 2 on their e-commerce portal and that it will be priced at Rs. 34,900/- and the product will delivered to the customer’s doorstep with free in-transit insurance. We don’t have any confirmation on the official prices or the release date, but like we said before, it is confirmed that India will see the iPad 2 really soon.